I hope you all had a great weekend. I can’t believe Christmas is on Friday. 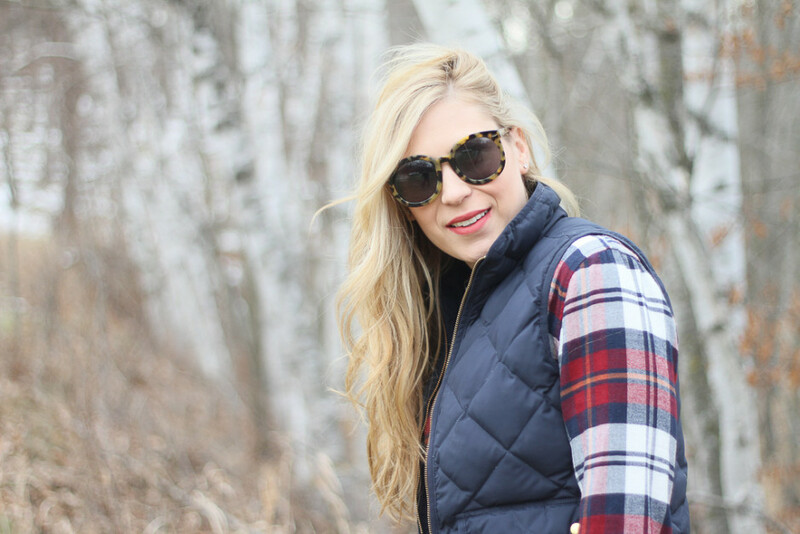 Check out this post for some last minute gift ideas or here for all my gift guides. I had so much fun having all my cousins over on Saturday. My two older siblings weren’t there and one cousin, but besides that, it was the whole group. On Sunday we made Ginger Bread houses with our kids (these kits are amazing). 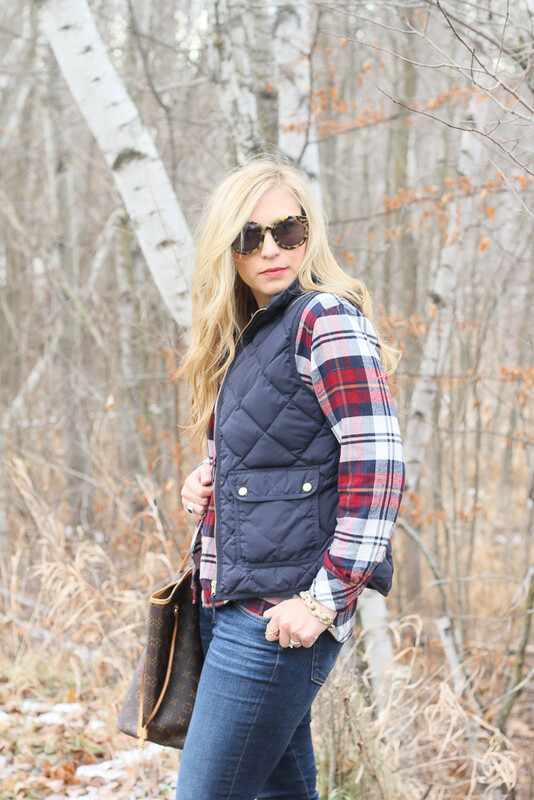 This outfit has a lot of my favorites: my favorite top (flannels), vest, jeans, boots, with my favorite bracelet. So, all and all, I’m starting out the week on a high note! If I don’t catch you before Friday, Merry Christmas! I live in this outfit! I can’t believe you got that vest for such a steal, well done! 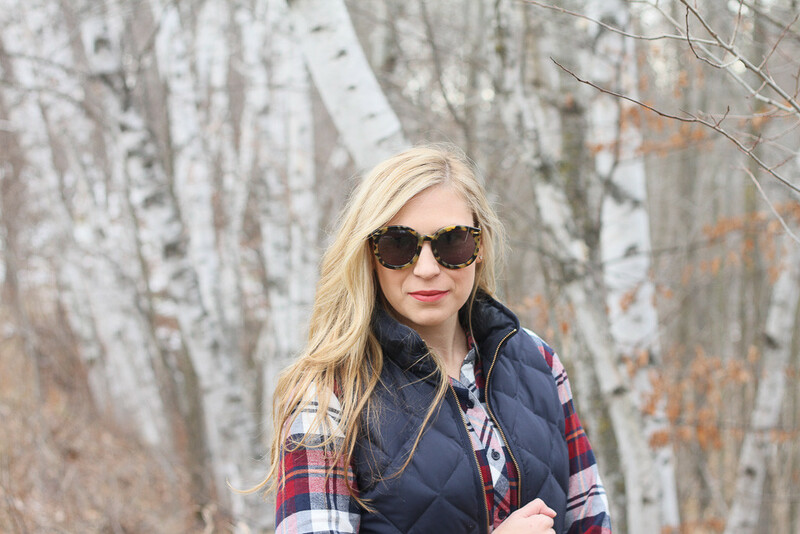 Love your cute Rails shirt and how your boots pick up the red in it! 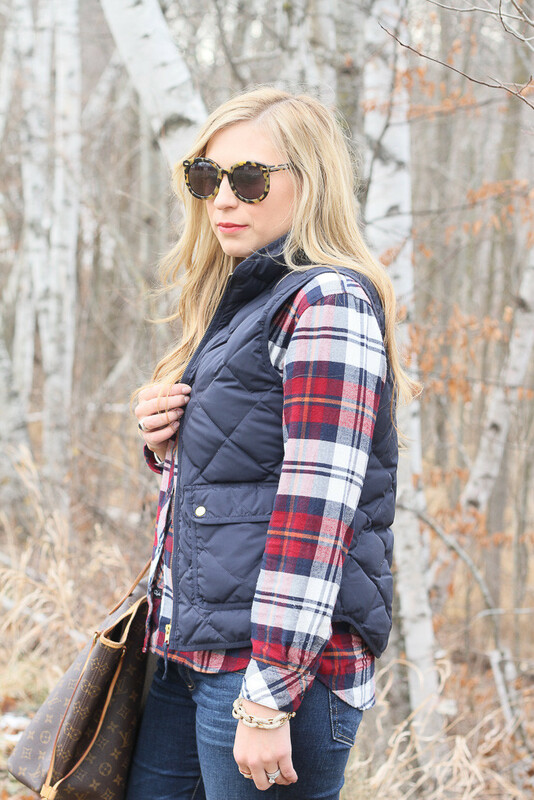 Very cute and casual ensemble…perfect for a rainy weekend! Thank you for sharing and have a wonderful week! What a wonderful steal! You look darling and I love this Christmasey feel to your outfit! Way too cute! This is such a perfect combo! 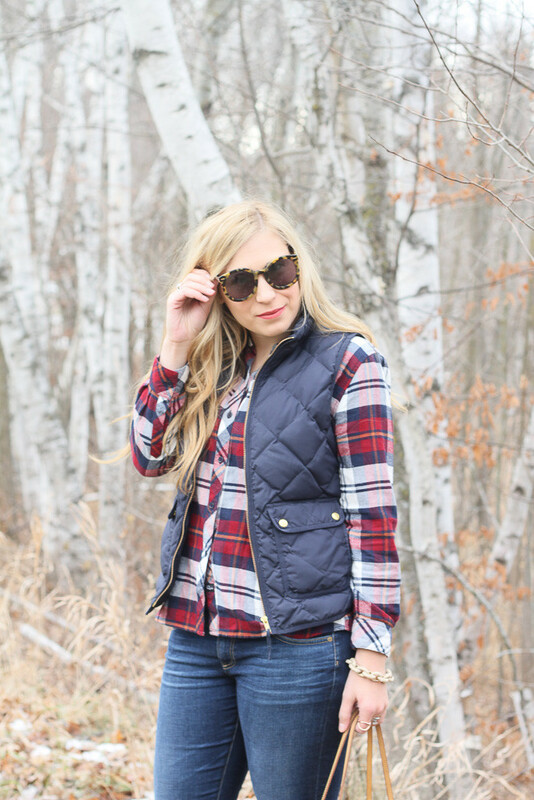 Love the plaid with the vest! 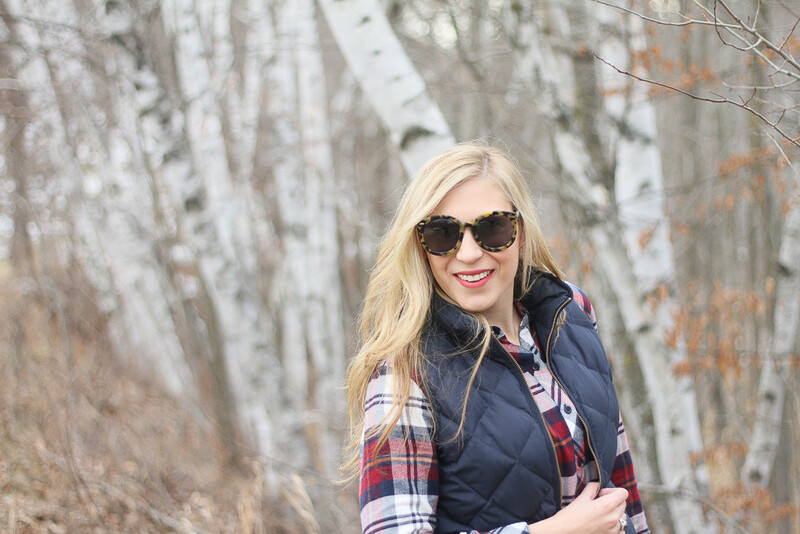 You look so pretty in plaid! 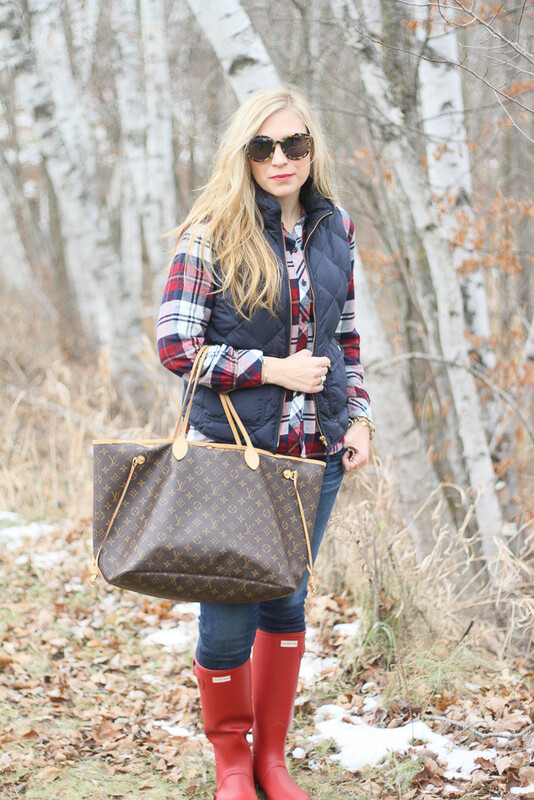 I love those red hunter boots. Love everything about this outfit. So festive and cozy. Happy holidays to you and your family! I seriously can’t believe Christmas is this week either! It doesn’t feel very Christmasy, could be the warmer temps haha! Love this casual look Lindsay! I hope you and your family have a Merry Christmas! 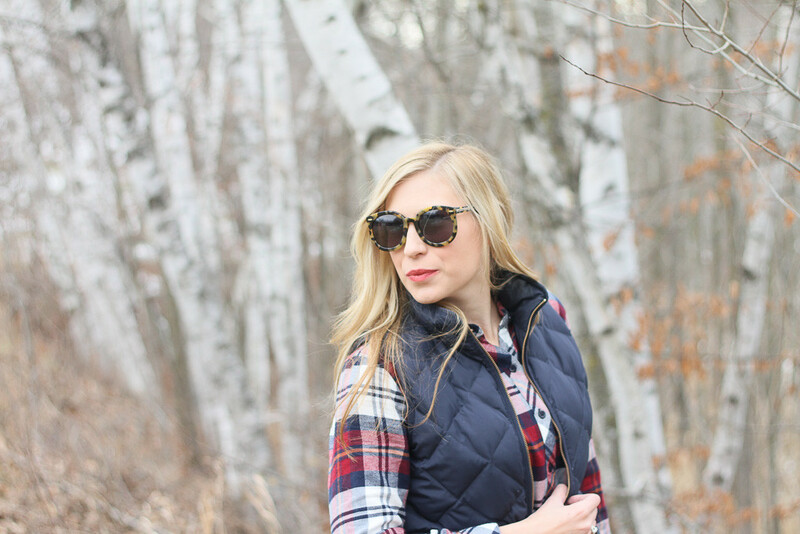 Loving this entire look! 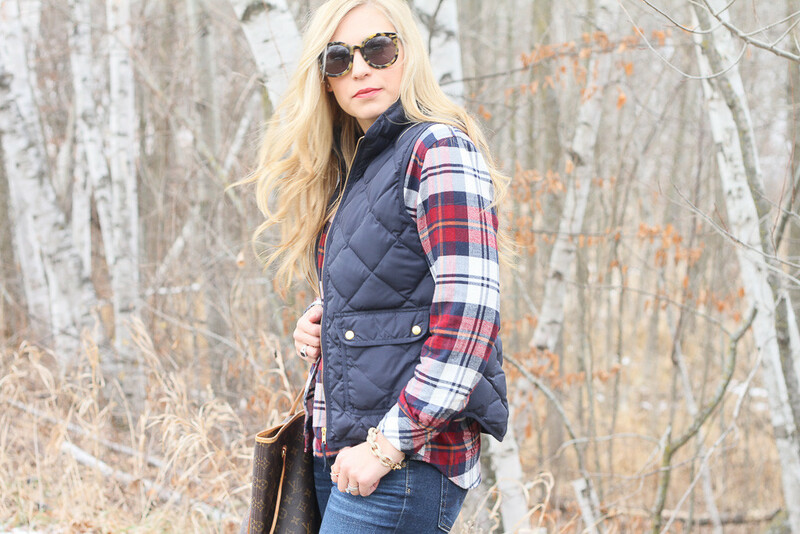 You always put together the best outfits with your Hunters! I LOVE that shirt! You look so cute! Such great effortless style and your hair is just beautiful! Wishing you and your loved ones a very happy holiday season! 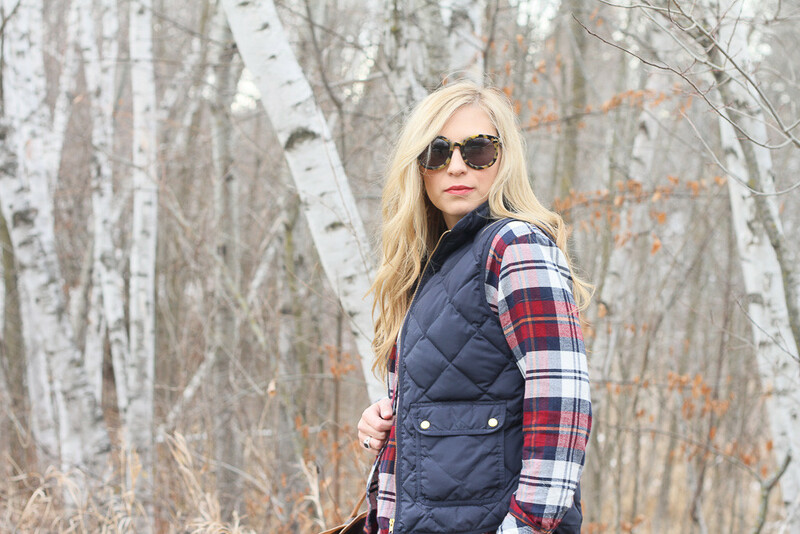 Perfect style in plaid! Love this look from head to toe! 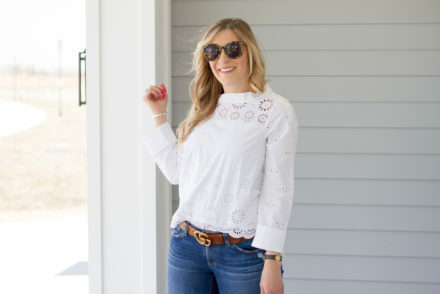 Love your classic style! Such a cozy best. Happy holidays Lindsay! 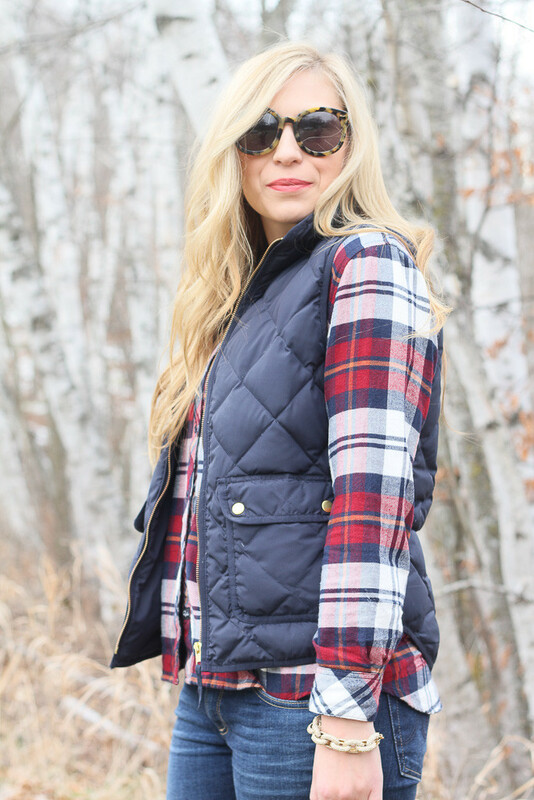 The vest and that plaid top are the perfect combination, so cute!